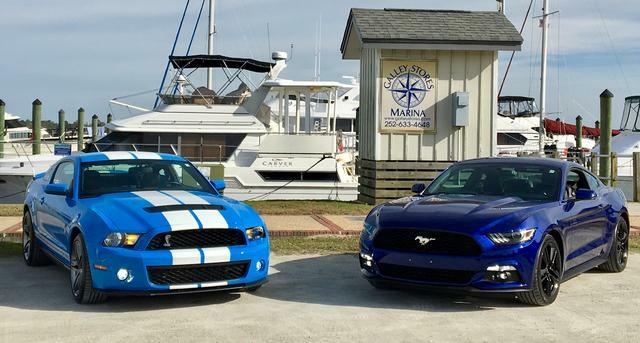 Ford Shelby GT500 Forum > Other Vehicles > Other Mustangs > EcoBoost Mustang getting a boost! EcoBoost Mustang getting a boost! Ford is upping their game with their turbo-4! Re: EcoBoost Mustang getting a boost! Saw that! I was thinking it was taking a long time to basically put the Focus RS 2.3l engine package in the stang! I just purchased a new ECOboost stang with the 10 speed auto. Just put the Ford Racing tune and exhaust on it and I am here to tell you that car, for the first 60 to 100 Ft is an absolute beast! Runs out of steam after that and more cubic inches passes it, but the surprise on big V8 guys face when I leave them off a light is pricless. Light to light do not mess with that thing. About 150 lbs lighter the 5.0 and it does not spin at the hit! Foot brake it to get it spooled then drop the hammer and you are out front for about 1 block! Cubes pass me after a bit. It whoops the snot out of a 2valve stang and 3valve for a good distance! They all pass after a while, but they get worried! Sounds like a fun machine … hope they give it a special look like the older turbo-four SVO Mustangs … I always liked their styling.